AquaForce® pumps combine energy-efficient performance, high flow rates, and ease of maintenance making this pump the ideal choice for discriminating pond owners. 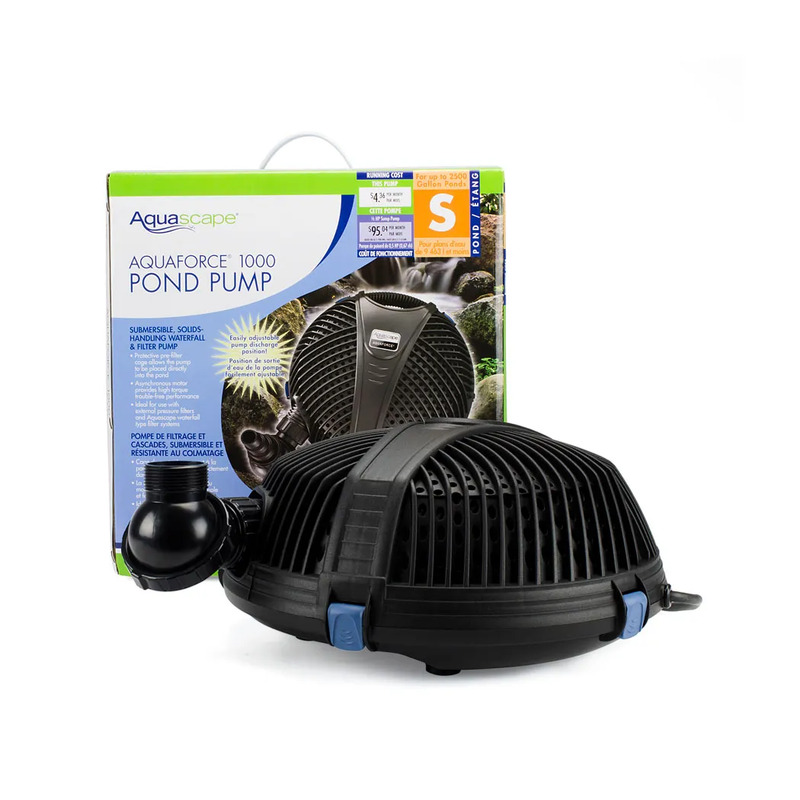 A protective pre-filter cage and wide, flat base allow the AquaForce Pump to be placed directly into the pond. 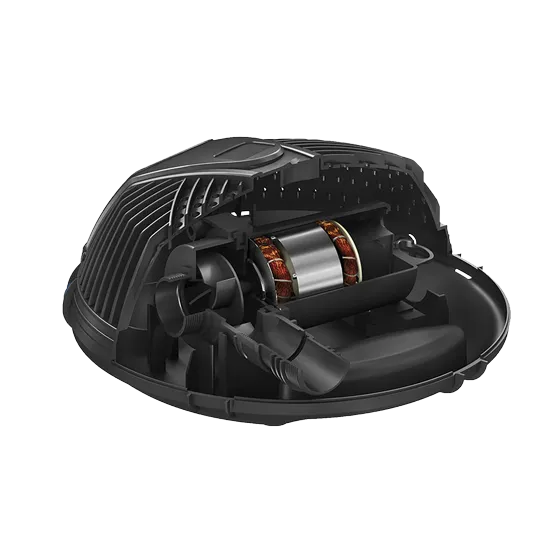 Its oil-free design and high-torque performance will provide years of trouble-free operation, while the protective pump cage will handle solids up to one-quarter of an inch, preventing clogging and reducing maintenance. Making the AquaForce pump ideal for use with external pressure filters or Aquascape waterfall style filter systems. 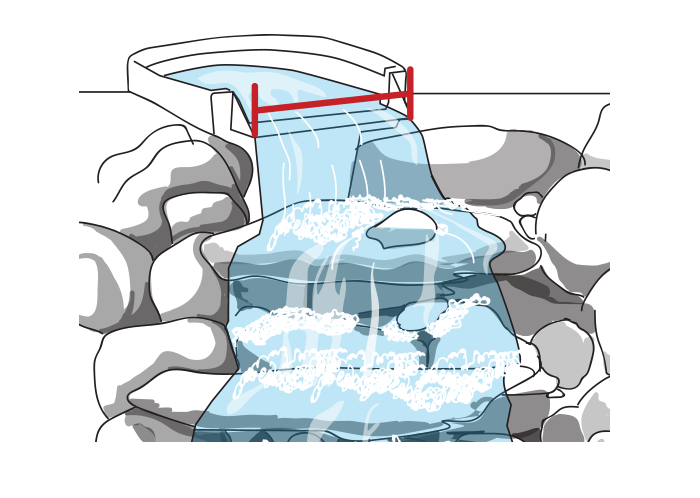 Learn the many features and benefits of AquaForce Pond Pumps. 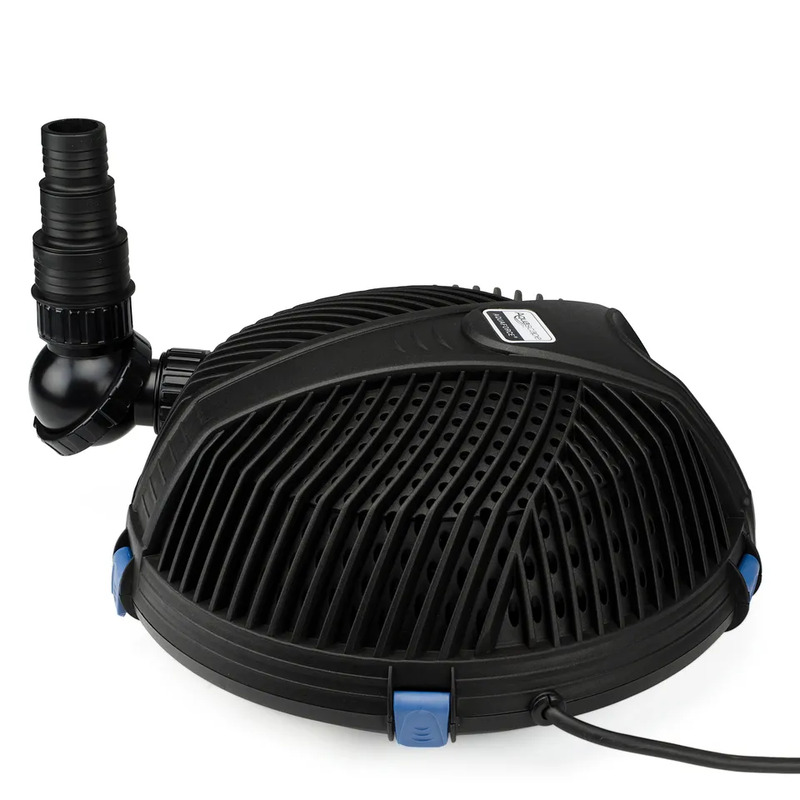 This energy-efficient pump is a popular choice for a variety of water features. Protective pump cage prevents large debris from clogging or damaging pump, reducing maintenance. Asynchronous motor technology makes this pump more powerful and more efficient than traditional "mag-drive," or magnetically driven pond pumps. 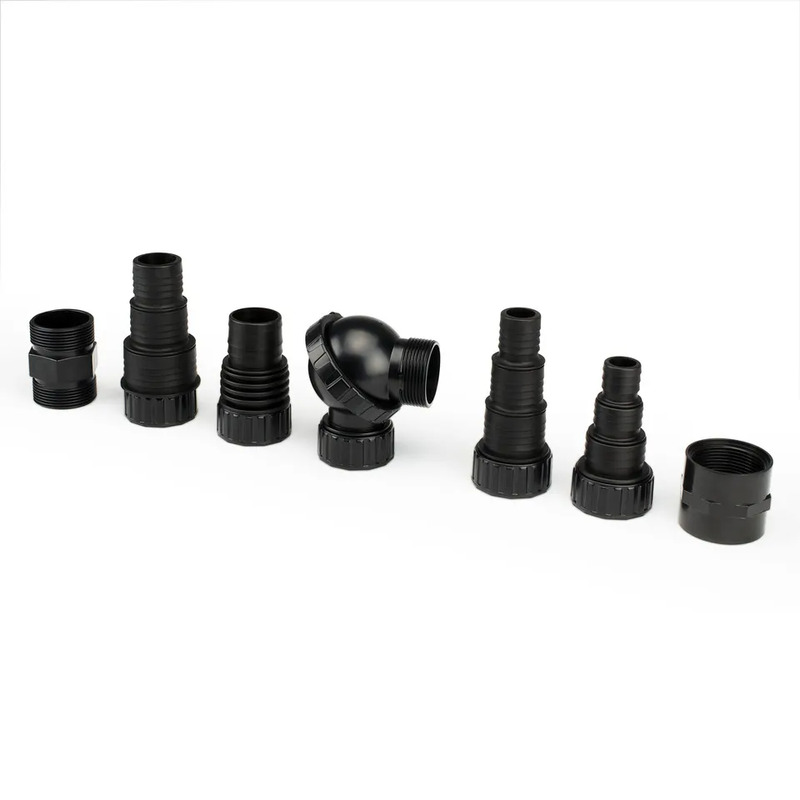 The simple and secure threaded disconnect allows for the pump to be easily removed from the pond for maintenance or winterization without removing hose clamps or plumbing assembly. The wide, flat shape of the pump cage makes it stable and easy to place in the pond. 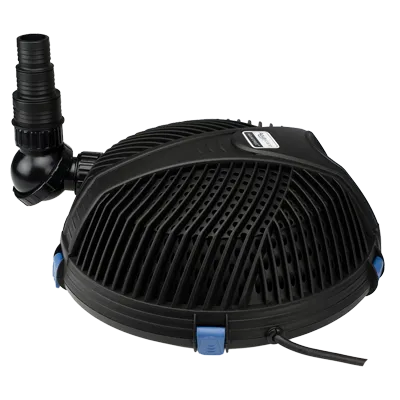 AquaForce Adjustable Flow Solids-Handling Pond Pumps also include a compact and ergonomic remote which allows you to wirelessly control flow settings. 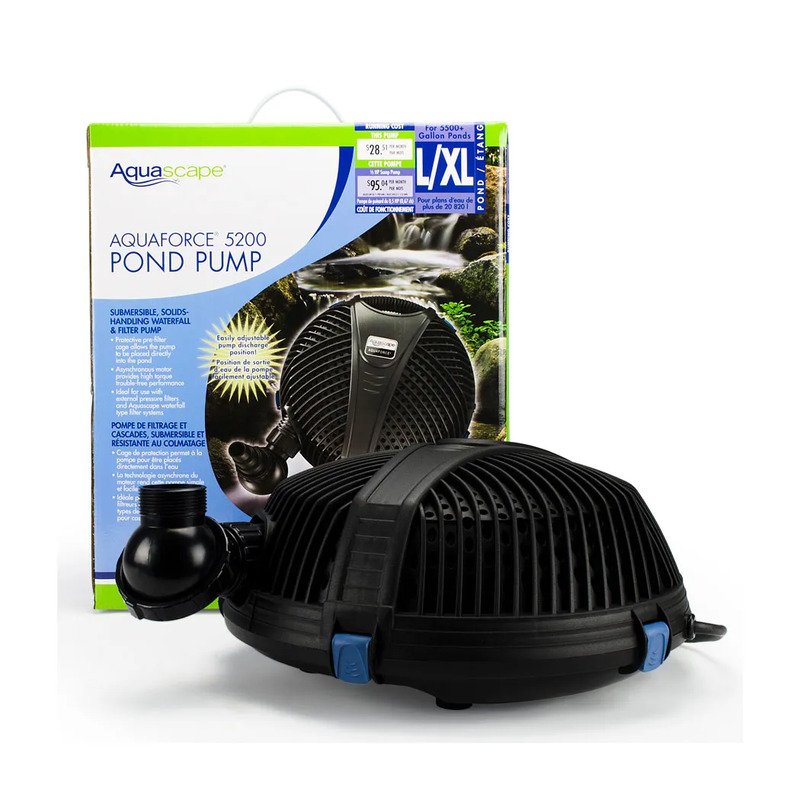 The AquaForce® protective pre-filter cage allows the pump to be placed directly into the pond.